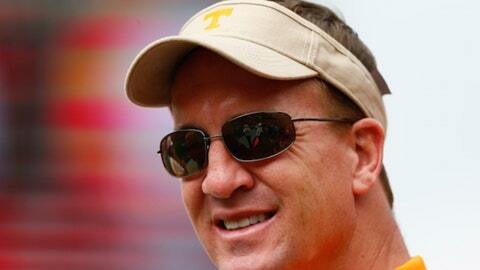 Peyton Manning is in the house to watch Tennessee/Alabama. The Denver Broncos have a bye this week, and their quarterback Peyton Manning is taking advantage of the downtime. The former Tennessee legend was in Tuscaloosa on Saturday afternoon to watch his Volunteers take on No. 8 Alabama. Peyton won three of his four starts against the Crimson Tide during his college career, but Tennessee hasn’t beaten ‘Bama since 2006. Can No. 18 be the good luck charm Butch Jones’ team needs to pull off the huge upset?